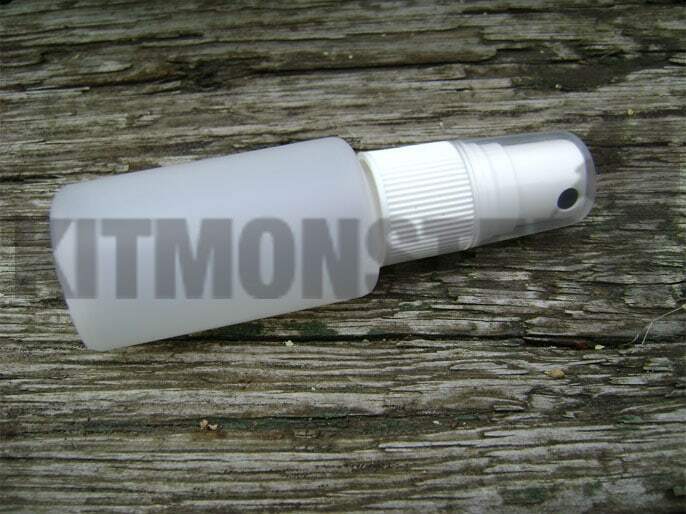 Small plastic pump spray bottle. Simple design, similar to those on issue for weapon cleaning kits. Supplied empty, these are suitable for oil or cleaning fluid for command slate cards or folders.